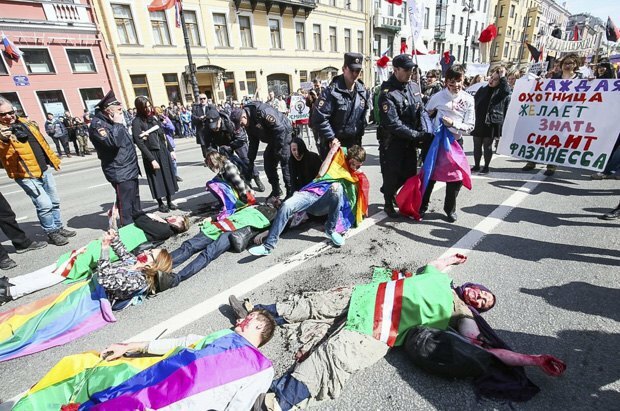 The number of social and even political protests in Russia is growing steadily. But it will only be able to transform into quality, such as a social explosion, when the arbitrariness of the authorities and hardships affect nearly every Russian without exception. 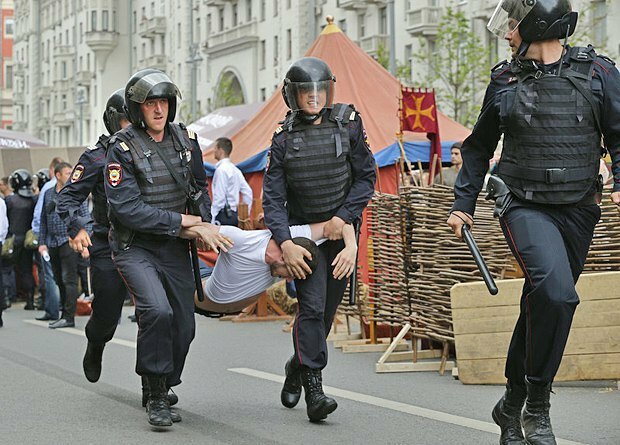 According to sociologists, the number of protests in Russia in April-June 2017 increased by one third compared with the beginning of the year. During this period, 378 opposition events were registered (in January-March, there were 284 protests). At the same time, according to the Centre for Economic and Political Reforms, the number of both political and social protests has increased. In 2016 and 2017, most events were focused on specific problems – wage arrears, defrauded investors and shareholders, increase in utility bills, controversial development and other, but because these problems were unresolved, protests underwent certain politicization, sociologists say. However, contrary to the expectations of many, especially Western experts, none of the protests failed to encourage the authorities to make any serious concessions to the protesters, let alone evolve into a revolution. The last "dashed hopes" of this kind were protests against the renovation and relocation of some Muscovites beyond the Moscow ring road. When the protest wave was only picking, I predicted that, like many of the previous waves of indignation, it would not produce any consequences. On the contrary, the protesters amazingly quickly chose to believe the promises of the authorities to make concessions, and the residents' brewing indignation quickly evaporated. Generally speaking, this reaction was quite expected. After all, in the case of another crazy antics of the Russian government, the majority of the population will mostly want not to change the situation but to receive an explanation why they were sacrificed. This conformity taken to an almost suicidal stage gave rise to a special, irrational type of reaction to the aggression of the authorities, that is the desire to regain a lost sense of comfort, a sense of security and stability at all costs. The main way to have them returned is by accepting a more or less logical explanation that another blow to a normal life of a person was correct, true and taken for their own good. Whenever such an explanation or at least illusive promises of life getting back to normal are given, the illusion of comfort is restored. This conclusion is confirmed by statistics. Thus, according to a study conducted by the Higher School of Economics, the majority of Russian citizens pin hopes on government only. Some 80 per cent of Russians believe that food prices must be regulated by the government. Some 66 per cent trust the government with running the healthcare, and more than 50 per cent believe that the officials know better how to "ensure jobs, build roads, schools, kindergartens, health clinics, and perform other functions concerning the interests of citizens". "It seems that here we have a case of a not quite explainable phenomenon when the majority of society perceives stability, especially during a crisis, as the only benefit," Gazeta.ru said in this regard. Accordingly, the protests taking place against the background of these trends are most often doomed to fail. The director of the Centre for Post-Industrial Society Studies, Vladislav Inozemtsev, wrote about this in a column for RBC. Comparing the current protest wave with the rallies of 2011-12, he calls them "the protests of despair" provoked by specific economic issues and dissatisfaction with certain corrupt officials unlike the white-ribbon "protests of hope" that were exclusively political by nature and were supported by many groups of the population and politicians of most different views. Read: Are there "independent" media in Russia and why would Putin need them? Inozemtsev also notes such features of today's rallies as "monopolization of a protest", above all by Aleksey Navalny and his associates, whereas previous rallies were spontaneous and became a platform for unification of various leaders on its own. The analyst also noted that "the emphasis is made on a simple slogan and not on the programme of action", "focus on the charisma and cult of the leader" and "preparedness for concessions for the sake of popularity" as far as Crimea and Ukraine are concerned. Inozemtsev sees economic reasons behind the participation of young people and teenagers in the recent rallies: unlike the older generation, young people feel more deeply affected by deteriorating living conditions and are concerned about their future. "Those who protested 5-6 years ago saw freedom they were being deprived of, the current ones do not even know what it is. 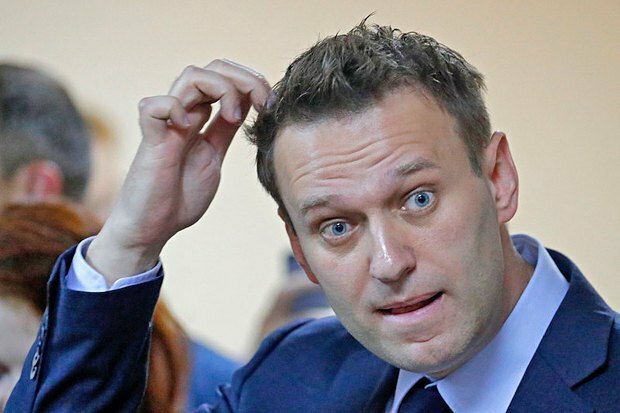 This means that the depth of motivation among Navalny's supporters is lower although they seem more revolutionary than the participants in the 2011 protest wave," the analyst said. Inozemtsev also points to the difference in the authorities' reaction to the protests, noting that it was much more consolidated than in 2011. Considering that protest activities today are limited to one leader, rather than a broad coalition of different forces, he evaluates the possibility of concessions by the Kremlin as minimal (as evidenced by the tightening of the legislation and subsequent repressions). While I fully agree with the author's conclusions on the features of today's rallies, I would still allow myself to add a few light strokes to this gloomy picture. First of all, a clear difference must be drawn between protests as such and protest sentiments. 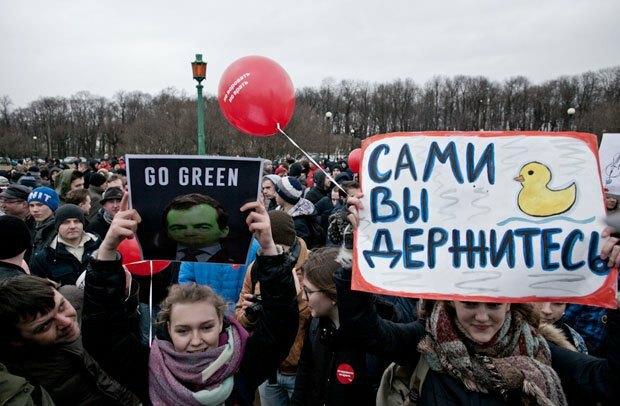 Whereas protests are indeed monopolised and limited to economic issues, or at most to the anti-corruption topic, protest sentiments in Russia today are much broader. This is the paradox of the current political situation, when the protest is monolithic but dissenters are extremely disunited. Whereas five years ago, as Inozemtsev rightly observed, the "causes and object" were absolutely comprehensible, slogans were clear and dissenters united. Today, dissenters in Russia are divided in terms of their views, goals and modus operandi. In particular, some protest-minded people still do not accept concessions with regard to Crimea, Donbas and other Russian military crimes. However, since this group is the main object of repressions which began a couple of years ago ("pointed" until now, but already very tangible), they are more afraid than others to express their position and involvement in any rallies. In addition, these people have no leader because all more or less prominent supporters of this point of view were forced to emigrate from Russia. In fact, the system has "squeezed" into exile all those who somehow threatened its key pillars, leaving the opportunity to stay "alive and free" only to those who are ready to compromise. Among these figures, too, there is no unity in terms of the objectives of their opposition activities. Some only seek to get into power and try "to influence the situation from the inside", someone aims to punish individual corrupt officials, someone hopes to oust Putin and openly insists on subsequent vetting and prosecution, while others, on the contrary, are ready to "seize" power on conditions of maximum tradeoff, without any consequences for Putin and his entourage. Their methods seem even more disjunct. So, while the "legal" opposition still insists on the need to take part in the elections, the other part is confident that this approach is useless and even harmful. In particular, this caused a dispute between Arkadiy Babchenko and Vladimir Milov. At the same time, people who disapprove of the idea of participation in the elections have not developed a different, effective strategy yet. Preferring a revolutionary path, they are forced to admit that given the above-mentioned public sentiments and trends, this revolution will not be supported by any impressive social group. That is why, even though the protest moods in Russia are wider than the actual protests, they cannot affect the current situation. There are also all sorts of "pinpoint protesters": truck drivers, doctors, teachers, residents of Moscow's five-storeyed buildings and so on. However, they do not seem to be able to unite in any single movement with common goals and ways to achieve them. Moreover, a clear intention to dissociate themselves from next victims of arbitrariness has become one of the manifestations of the self-destructive conformity of the Russian majority. For example, having learned the resettlement programme was approved, the majority of Muscovites did not think about their rights or about private property, or about desecrated rights to private property or anything like this, they rushed to check whether their own apartments are included in the renovation programme. Having learned that they were lucky this time, Russians felt relieved and even, as paradoxical as it may sound, thankful to the authorities. And very few would dare to "test their luck" and express support for the victims because they see at least some guarantee of security in the loyalty to the authorities. It seems that a social explosion in Russia is only possible when tyranny and deprivation affect all - almost all Russians without exception. As long as repressions target only certain groups of people, everyone else will be happy that they are unaffected because they are neither Ukraine supporters, nor opposition activists, nor truckers, nor Jehovah's Witnesses, nor residents of five-storeyed buildings - and the list goes on. And so Inozemtsev's conclusion is absolutely right: no tangible results can be expected from today's protest movement. Putin accuses Ukrainian authorities of "Russophobia"